Evolution usually undermines efforts to control mosquitoes, as the insects become resistant to insecticides — but the researchers propose that evolution could instead be exploited to protect people. There is currently a need for repellents to keep mosquitoes out of people's homes. The researchers propose that evolution can be used to help by creating highly effective repellents from initially ineffective ones. Many of the mosquito species that transmit malaria have evolved to bite humans indoors at night, and health efforts target them by using insecticides sprayed on surfaces inside people's homes. 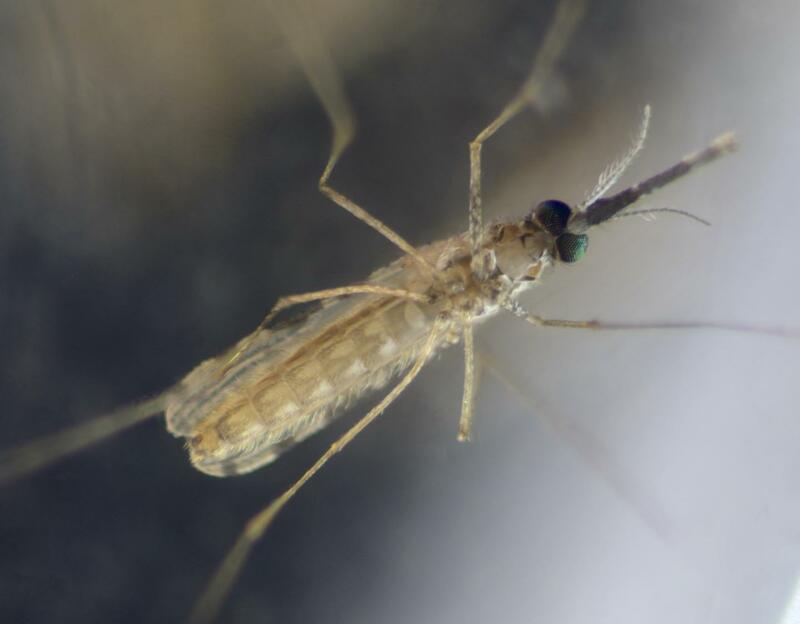 The researchers use mathematical models to show that pairing a chemical repellent which initially keeps only some mosquitoes outside, with insecticides that kill those which do enter, can drive evolution to change local mosquitoes until the majority are affected by the repellent. This method, published in the journal eLife, would give an evolutionary advantage to mosquitoes which stay outside, and a disadvantage to those which enter homes to feed on humans — increasing the numbers of the former and thus protecting people indoors and hindering the spread of the deadly disease. "Mosquitoes which are repelled and don't go inside buildings will not contact insecticides and so will survive better than those which do go inside. This means that if you start with something that repels only part of the population of mosquitoes, evolution will favour the ones that are repelled, they will increase in the population and your repellent will become more and more effective" said lead author Dr Penelope Lynch, Associate Research Fellow at the University of Exeter's Department of Biosciences. Dr Lynch added: "We are struggling with insecticide resistance and we need better ways to protect people. An additional benefit of our proposal is that, because repelled mosquitoes don't contact indoor insecticides, any repelled mosquitoes get no benefit from also being resistant, so the spread of insecticide resistance is slowed or prevented." Co-author Professor Mike Boots, of the University of California, Berkeley, said: "The evolution of the mosquito population in response to interventions such as insecticides is inevitable. The strategy we propose takes advantage of this inevitable evolution in order to improve control". The model developed by the authors shows that the success of their evolved repellence concept in a given location would depend on a number of factors, including the species of mosquitoes present, how resistant they are already, whether they can only feed on humans and the size of the area which could be treated. The outcome in a given location can also be influenced by choices about the repellent and insecticide used, and the way they are applied. Practical laboratory and field work is now needed to build on this theoretical groundwork and to determine suitable locations and application strategies.